Hey there! I am so honored that you would want to contact me! 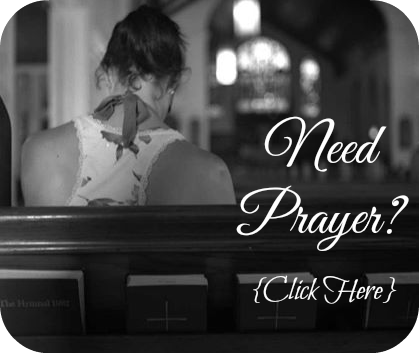 I love connecting with my readers and sharing in their burdens, heartaches, pains, and joys; therefore if you are a person in need of prayer, encouragement, or someone to just listen to your struggles or celebrate in the good things that are happening in your life, please send me an email at waitingforbabybirdprayer@gmail.com. I look forward to hearing from you and I am so glad you found your way here! I chose the Clomid and took it for quite a while. I had my first baby in 1986. She now has a baby of her own!! Yay…we’re grandparents!! Anyway, I took the Clomid for my second pregnancy also and that time I was pregnant within just a few months. The doctor had told me that once I got pregnant, that it would change my hormonal system and “cure” my polycystic ovary problem. Well, six years after my second baby and nine years after my first baby, I found myself pregnant again! And without Clomid and without planning it!! Our third daughter was quite a surprise!!! She just left for college a few weeks ago! I had never heard of curing pcos with diet or exercise etc. God is always faithful and works things out in His own timing. Praying He will bless you with your own little miracles just like He did for us!!! Thank you so much for your story of inspiration Pam. Yes, it has been proven that you can reverse many of the symptoms and issues of PCOS by limiting your sugar/carb intake and doing regular daily exercise (even just walking). Insulin is the main hormone that causes the other hormones in your reproductive system to get out of whack and if you can control your insulin (hence the reason to cut out carbs and sugar) then you can eventually balance out the other hormones. It’s just so hard to maintain that diet unless you have a seriously strong willpower. lol! a #TealSister in my Ovarian Cancer support group shared “Somewhere Tonight” with us, and as I sit here in tears because I have been in that journey and sit there today. There are good moments as I have tons of nieces and nephews, but none of “my own”. Thank you for putting it in words, hopefully others will understand. wowzas!! Thank you, thank you, thank you for this amazing testimony that offered me so much hope and encouragement! God is amazing and I know that He doesn’t show favoritism (Romans 2:11). So I’m holding on to the hope that what He did for you, He will also do for me. Thank you for sharing this with me. I needed it today. Hugs! Awe thank so much Brandy for your prayers! You are awesome! Big hugs to you! Joshua said: The Land we walked through and scouted is very good land – very good indeed. If the Lord delights in us, He will bring us into this land and give it to us, a land that flows with milk and honey. Only do not rebel against the Lord and do not fear the giants of the land, for they are food for us. Their protection is removed and God is on our side: Do not fear them.” This is hanging on my bathroom mirror. So, I know God delights in me because of the cross and I know that He is able to open my womb and fill and more imporantly, He wants to!! So when I found your writings I sat at my desk and cried with you, not only because of how hard it is but because of how truly great God is. I just want you to know that you can add me to the number of people praying for you that your miracle will be speedy and sure. That God will “rememer you” like He did Rachel and that your nest will be filled. That He will lead you into the land He promised. I found your site through a PCOS site and reading your posts was much like reading my own thoughts! My older sister also had PCOS but had no trouble having her two babies, my other two sisters also got pregnant without issue. They can not relate, and we are keeping our struggles very private. Im 38, we put it off because I was a firefighter, then I was sick with Meniere’s then we had no insurance… Now, even though we have only been “officially trying” 6 months, I’m struggling. 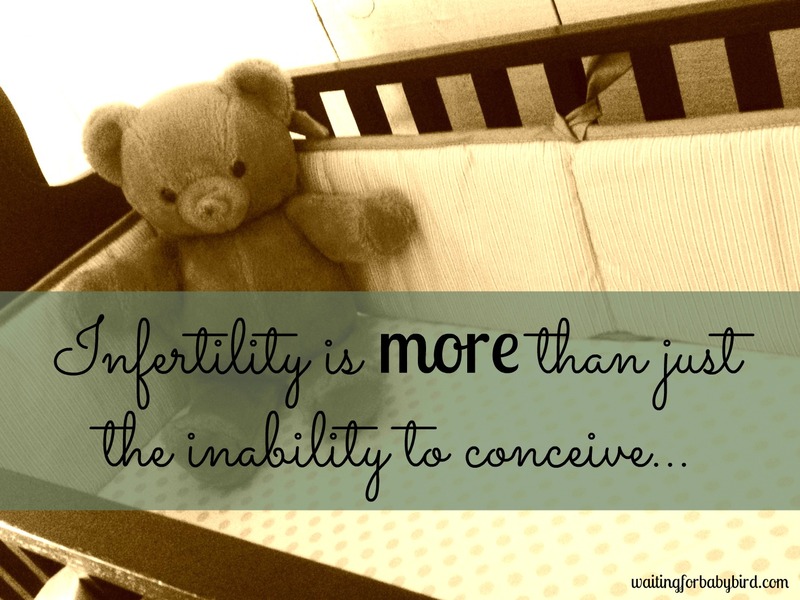 Knowing how “irresponsible” I have been since I have been married and on birth control, well, I knew in my heart of hearts this was going to be hard. Your story is inspiring. We are also applying for adoption through the foster care system, and have been told it will be a tough journey. I pray I have the strength for it. 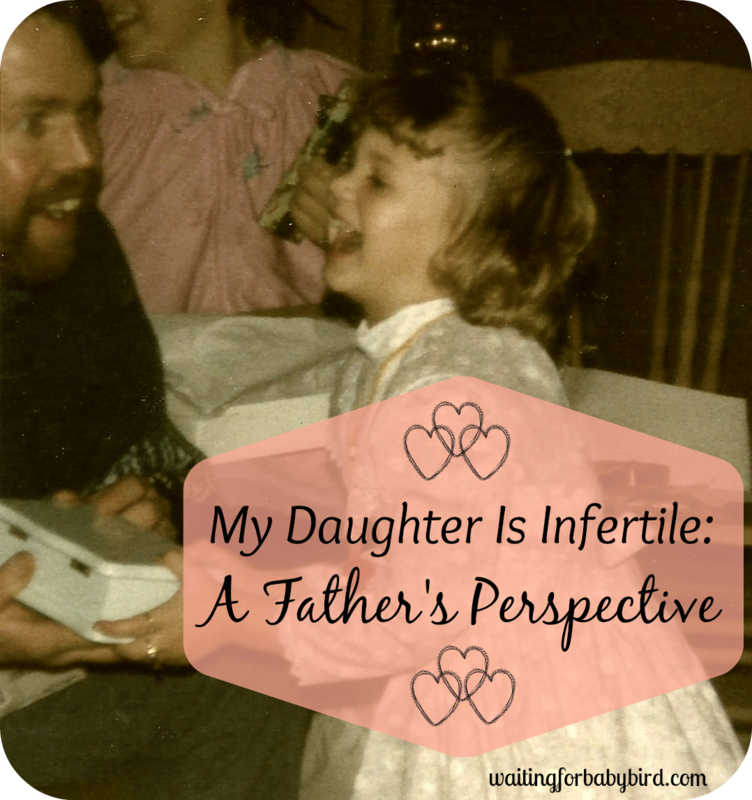 I feel like my fertility issues were a huge elephant in the room at all the baby showers. When asked about why we didn’t have kids all I could say is “it hasn’t happened yet”. So we are playing it very close to the vest as we start down the road to adoption. I wish I felt like I could tell the world we are working on making a family, but its not worked out like that. We know we can’t afford lots of interventions, and have accepted that. We believe adoption will be a blessing, if we are approved. I feel moved to share this story with you so please bear with me: A couple years ago (we have known about the PCOS forever) our friends started having babies. 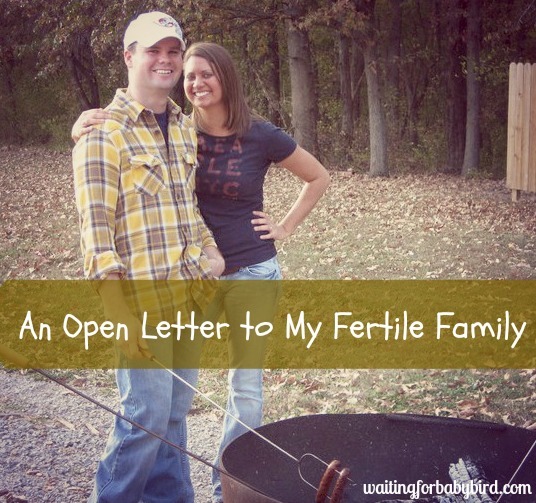 We were so excited for them, especially one friend “Jenny” who had fertility issues and surgery to correct them. At “Jennys” baby shower, I told her how excited we were and offered to bring over supper after the baby got here and how I’d be delighted to babysit as soon as she was ready. She told me I wasn’t allowed to even drop off supper, but most surely was not allowed to hold her baby until I produced documentation of all of my vaccinations. (I’ve been vaccinated, but had no paperwork and no way to get it at that time) I was crushed. She said some other very hurtful things to me that day, and she was well aware of my issues and knew how much we wanted kids. We haven’t spoken since. She unfriended me on Facebook not long after her baby was born, and several other friends who just announced pregnancies did too. I guess my “elephant in the room” made them uncomfortable, and it made me feel very alone. I don’t know why I felt I had to share that with you, but I believe God was pressing me to. So someone must need to see it. 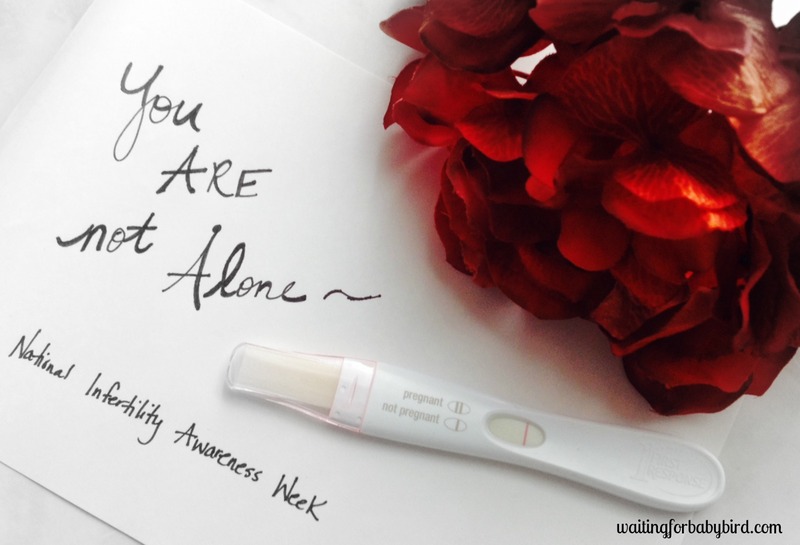 Your blog has shown me that no matter how alone the world makes me feel on this, I am not ever really alone. I am a christian, and I have tried to embrace God’s plan rather than fight it. I work every single day not to be bitter and angry over this. Your blog has been uplifting, thank you. I ran across your page after seeing a friend post one of your blog entries . . . you and I have traveled a lot of the same path. 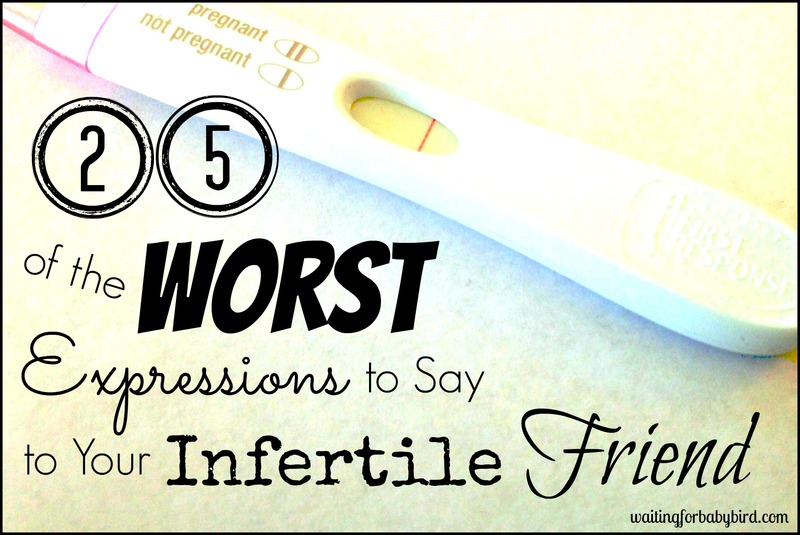 I’m also a 30-something who lives in Illinois, and was diagnosed with PCOS in 2011. (I also used to work in the foster care system–bless you for sharing your life with a child by opening your home in that way and dealing with all of the issues that go along with fostering!) 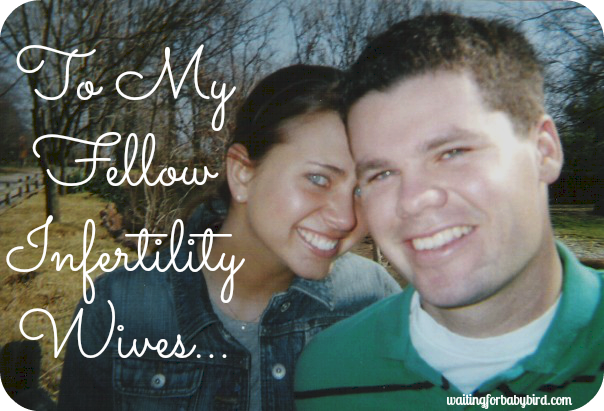 My husband and I have been together since 1998, and after so many years of waiting, never dreamed that we would have trouble starting a family once we were finally ready. I want to leave you a word of hope and encouragement: we are now the parents of healthy twin boys. We did have a little help with the process, but only diet, exercise, and just a little medication–no “procedures” of any kind. We, too, believe in the grace of God and the power of prayer, and we’ll be praying that little Josiah joins your family sooner rather than later! Oh wow! Our stories sound so familiar! Are you by any chance in Southern Illinois? I would love for you to attend my faith based infertility support group called “The Nest” that I host on the first Tuesday of every month.